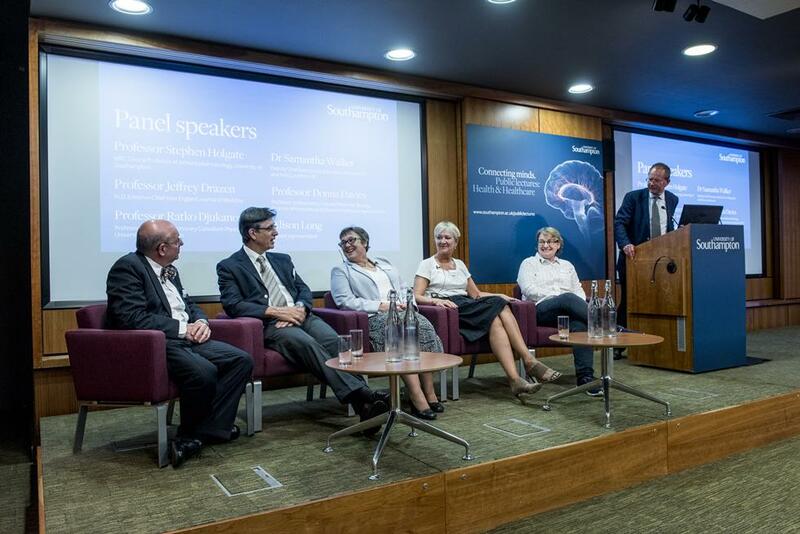 The third event in our health and healthcare public lecture series took place on Wednesday 7 September 2016 at the King's Fund, London, and focussed on respiratory health. Keynote lectures from Professor Ratko Djukanovic, Professor Stephen Holgate and Professor Jeffrey Drazen preceded a panel discussion. 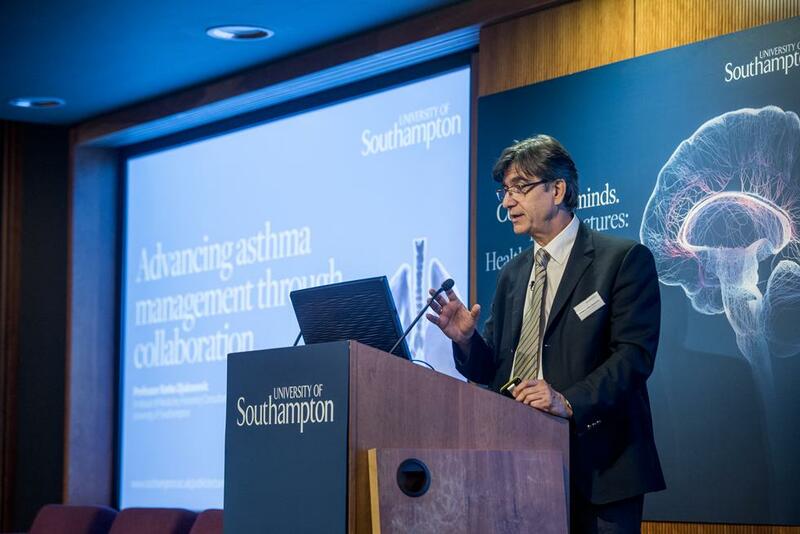 We discussed how the University of Southampton is creating and developing more targeted treatments for asthma and driving cross-sector collaborations. 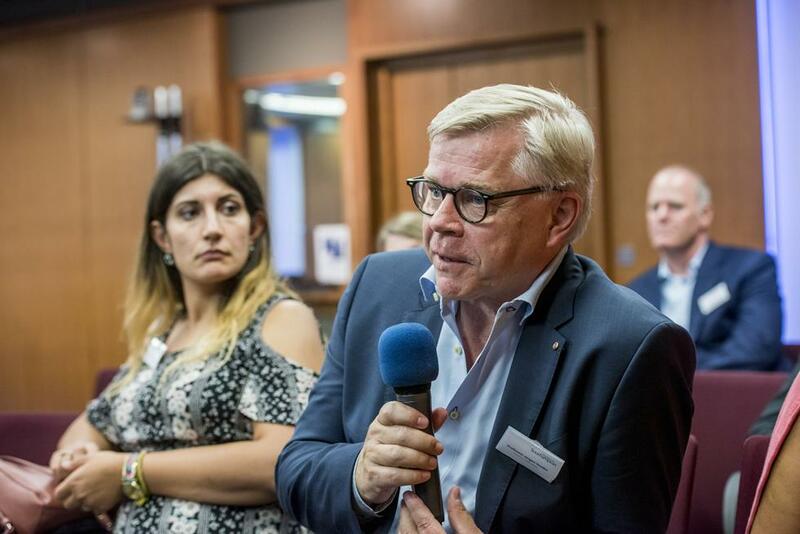 This event also explored how our world-leading research and partnerships in this field benefits society now and in the future. 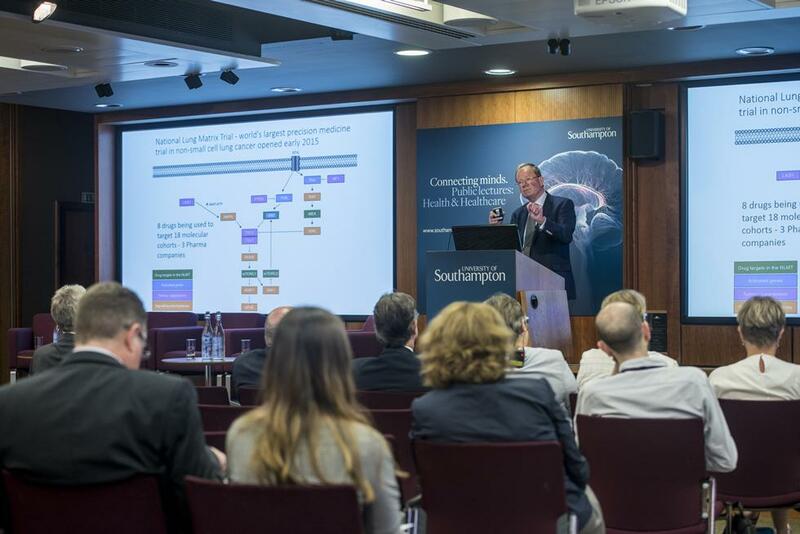 Professor Ratko Djukanovic, Professor of Medicine at the University of Southampton and Director of the Southampton NIHR Respiratory Biomedical Research Unit. Professor Stephen Holgate, Medical Research Council Clinical Professor of Immunopharmacology and Honorary Consultant Physician. Professor Jeffrey Drazen, The New England Journal of Medicine, Editor in chief New England Medical Journal, Senior physician at Brigham and Women’s Hospital, Distinguished Parker B Francis Professor of Medicine Harvard Medical School. 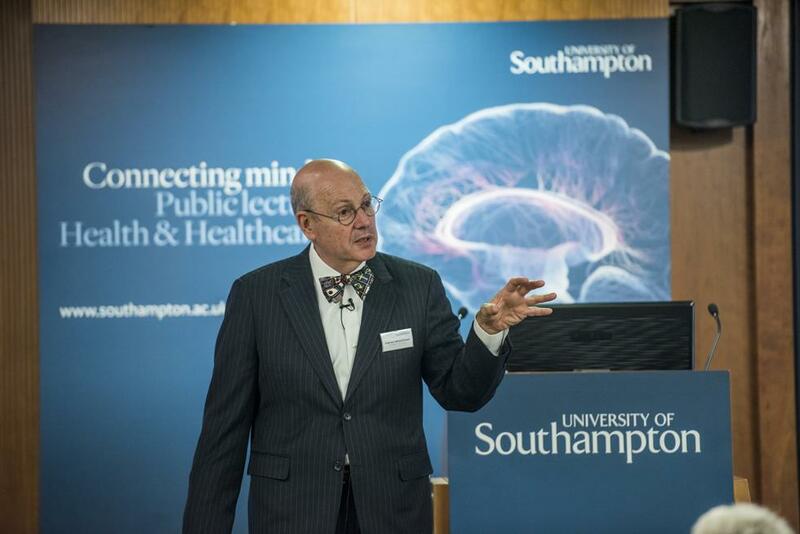 Professor Ratko Djukanovic, Professor of Medicine at the University of Southampton. Professor Jeffrey Drazen, The New England Journal of Medicine. Dr Samantha Walker, Deputy Chief Executive and Director of Research and Policy at Asthma UK. Professor Donna Davies, Professor of Respiratory Cell and Molecular Biology at the University of Southampton. Professor Stephen Holgate (Panel chair), Medical Research Council Clinical Professor of Immunopharmacology at the University of Southampton. 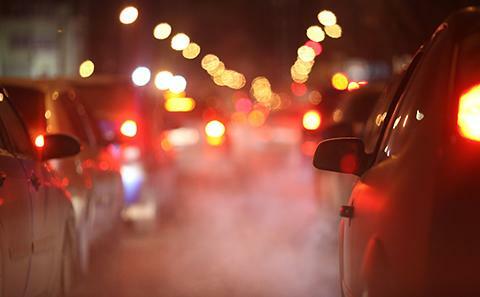 Hear from Professor Stephen Holgate, who thinks the Clean Air Act is well over-due an upgrade.